Sorry to see you go, Micro. 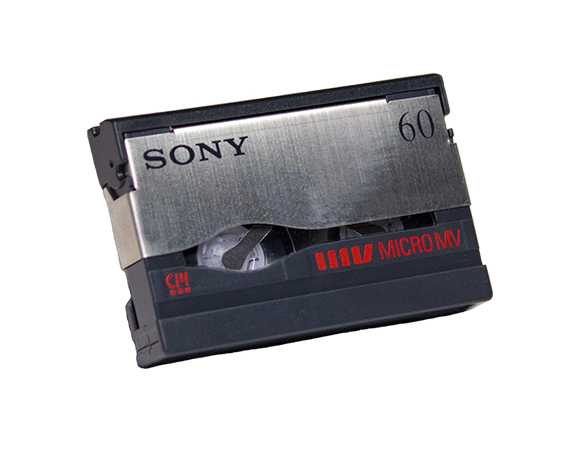 MicroMV was introduced in 2001 by Sony to compete with MiniDV. This proprietary format used special compression similar to DVDs and high definition video. MicroMV was the smallest video cassette, being about the size of two US quarters. This allowed the cameras that record in this format to be palm-sized. Since it was considered a commercial failure, Sony discontinued the cameras after 2006. Despite this, they continued to manufacture MicroMV tapes right up until 2016. As with other small tape formats, these tapes are prone to breaking and damage from weather and improper storage. Since these cameras only came from Sony and were discontinued so long ago, there is also now a shortage of playback devices. As you use up your last supply of MicroMV tapes, bring them in for transfer to digital file! Los Angeles Video Transfer is one of only a few services that can convert your MicroMV tapes to DVD or digital file*. We take great care to transfer your precious videos to digital so that you can enjoy them for years to come. *Since MicroMV is a digital format, we recommend transferring these tapes to digital files which are stored on a hard drive.